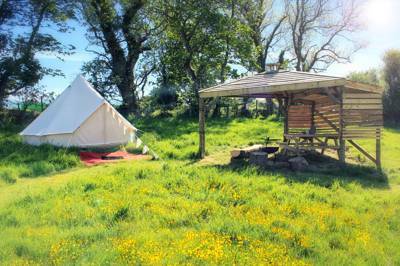 Wherever you are in Pembrokeshire, you’re never more than 14 miles from the coast. And it’s not just any old coast either. Almost all the coastline of this county in the far south-west of Wales is part of the Pembrokeshire Coast National Park – the UK’s only coastal national park. 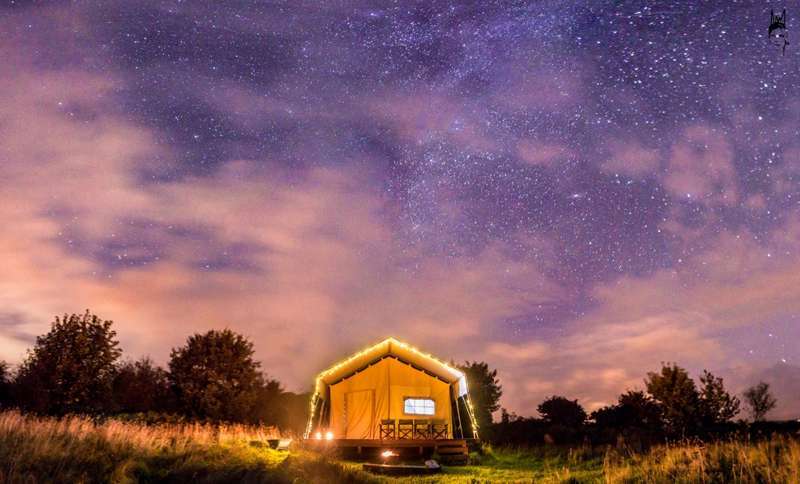 It’s this stunning scenery and the adventures that go with it, that have made it one of the most popular destinations for holidays in the UK. 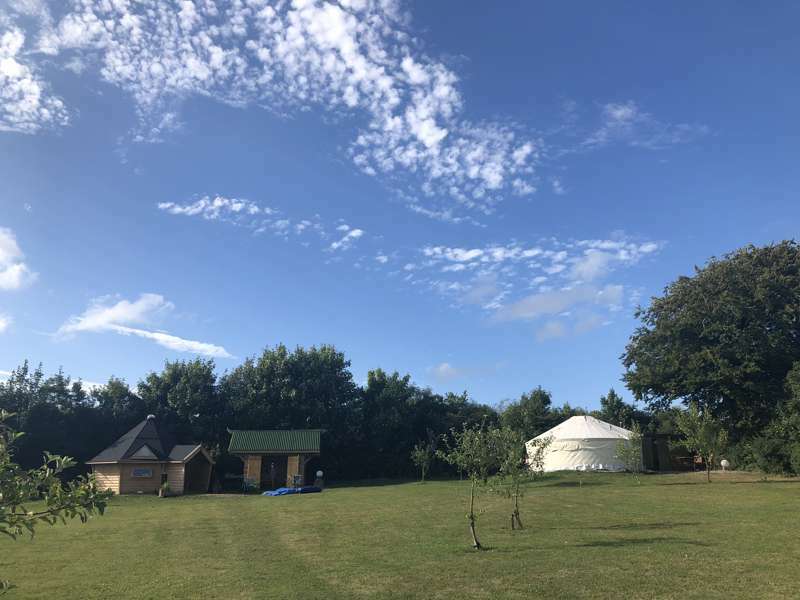 And glamping is a great way to put yourself at the heart of all this beauty as the glamping scene in Pembrokeshire has taken off in a big way. 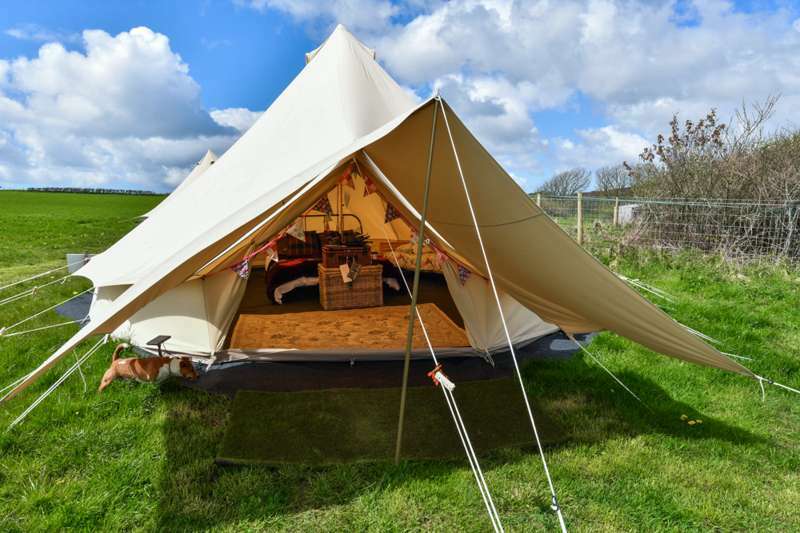 Many Pembrokeshire campsites now have glamping options that offer people more comfort and luxury than traditional camping and there are plenty of glamping-only sites too. 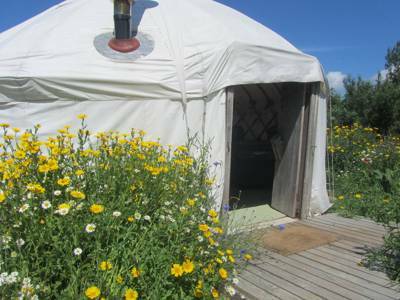 You can find Pembrokeshire glamping sites with sea views as well as rural hideaways inland. 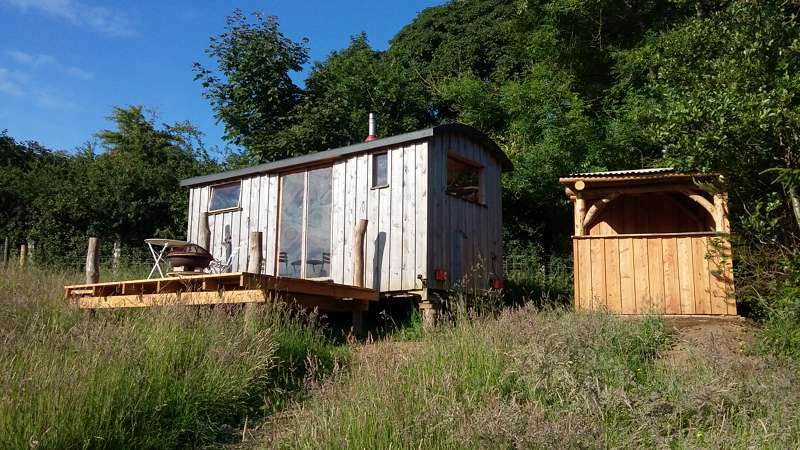 While the coast is the headline-grabber, the Preseli Mountains in the north of the region and the rural bliss of the south should not be overlooked either. 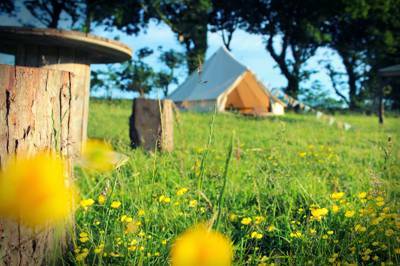 Some of the best glamping sites in Pembrokeshire are inland and some are on the coast. 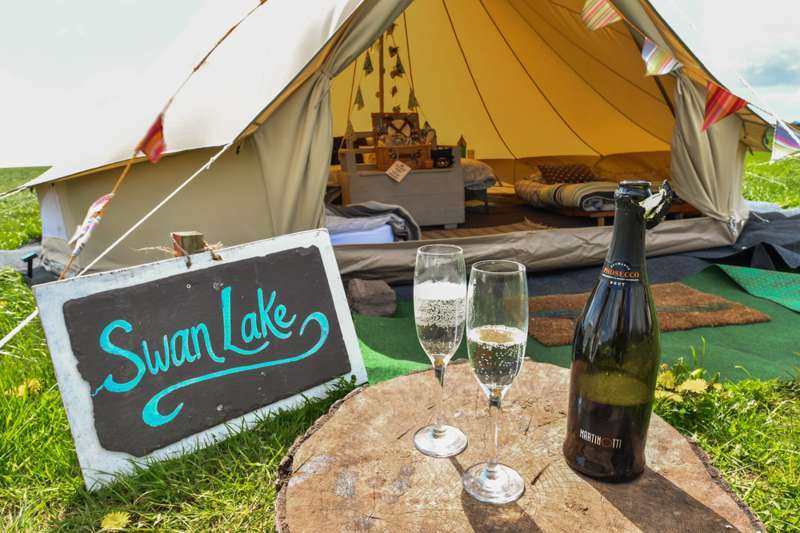 There’s no one-size-fits-all answer to what makes a great glamping site but we think there’s something special about all the sites we’ve chosen for the Glampingly collection – and hope you do too. 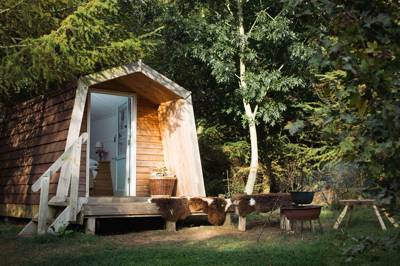 Sometimes it’s a fantastic location that makes a glamping site special and sometimes it’s the accommodation itself. 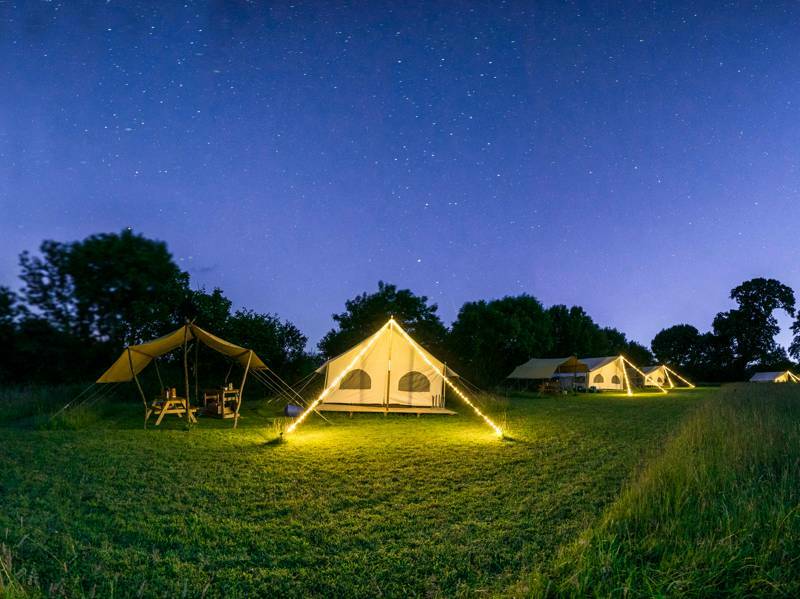 Often the best glamping sites have a winning combination of the two and there are many Pembrokeshire glamp sites that cover both bases. 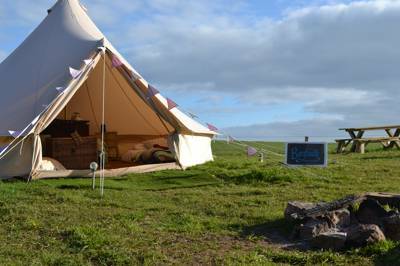 There are tipis in woodlands, bell tents by the beach and the safari tents in meadows. 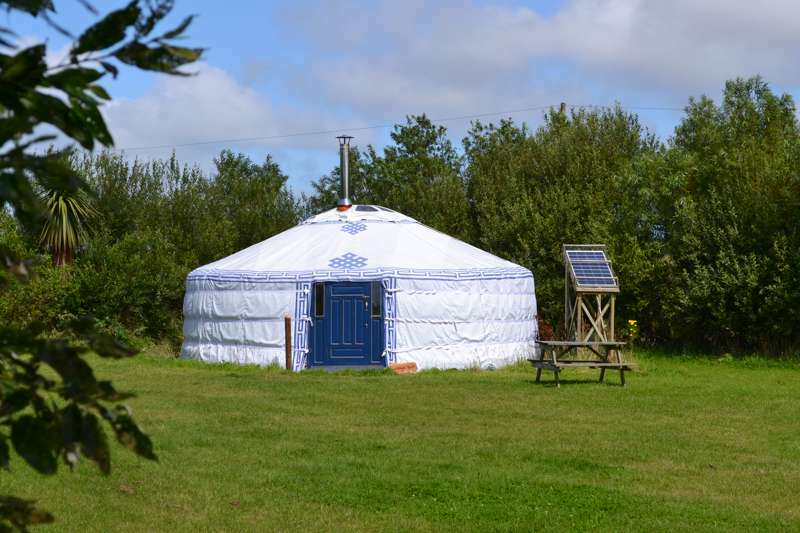 The range of glamping accommodation in Pembrokeshire is vast with everything from traditional yurts or gers to modern geodesic domes for camping. 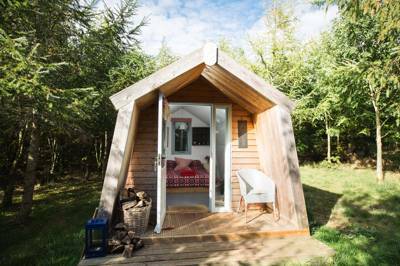 If you’re after something a little more solid you can choose from shepherd’s huts, glamping pods, cabins and Airstream caravans. 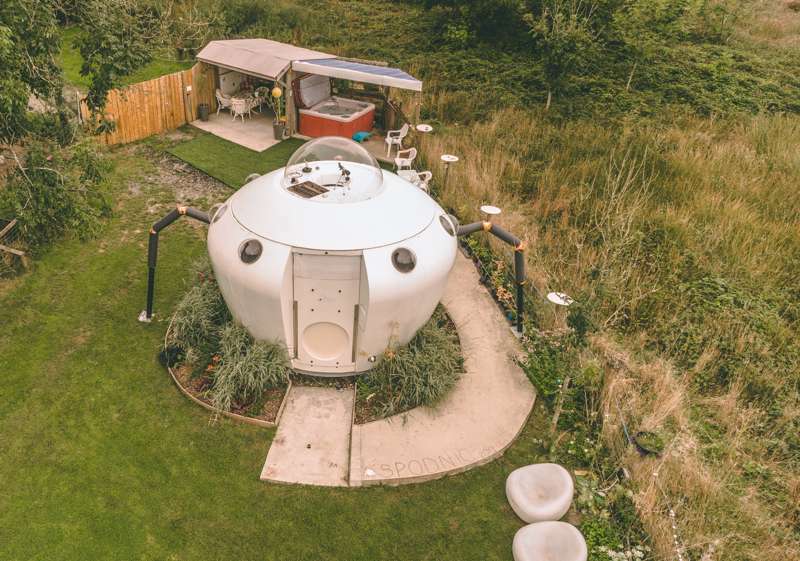 And if you fancy something truly memorable why not choose somewhere more unusual to stay? 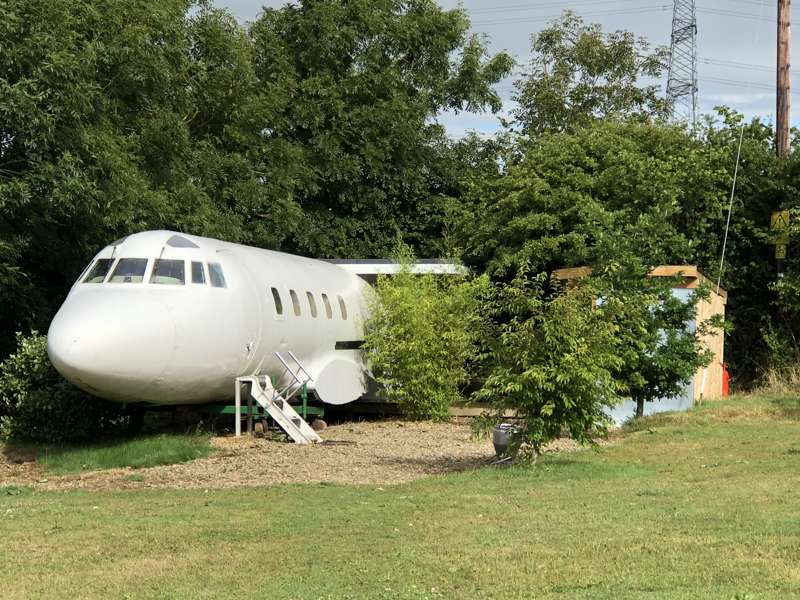 There are lots of weird and wonderful one-offs in the world of glamping from converted aircraft to restored horse lorries to treehouses that are straight out of a fairy story. 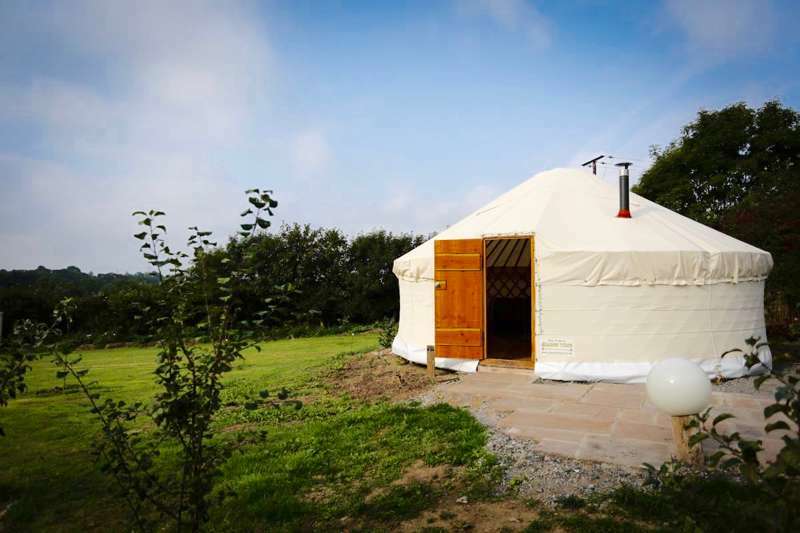 There are plenty of glamping sites in the Pembrokeshire Coast National Park. 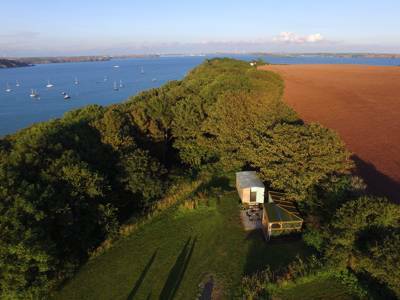 Within the 240 square miles of its protected landscape you’ll find changing coastal scenery from wide sandy beaches to rocky coves and towering limestone cliffs. 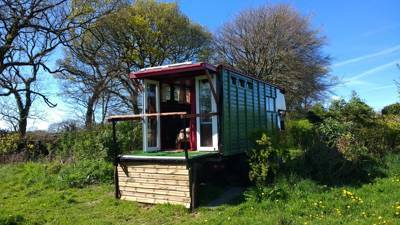 The best way to see the variety is to take a stroll on the Pembrokeshire Coastal Path which winds its way along the coast. 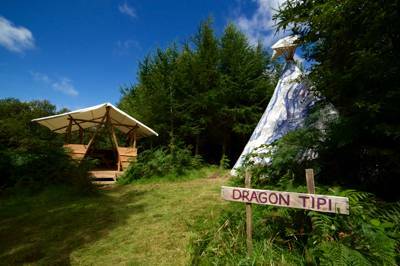 But this is Wales, the UK’s adventure playground, so there are a few other more adrenalin-inducing ways to enjoy it too. You can hurl yourself off the cliffs (in a controlled manner of course) on a day out coasteering, you can kayak around them for a seal’s-eye view or abseil off them. And while those sandy beaches are perfect for a paddle they are also used by kite surfers, paddle boarders and horse riders too. 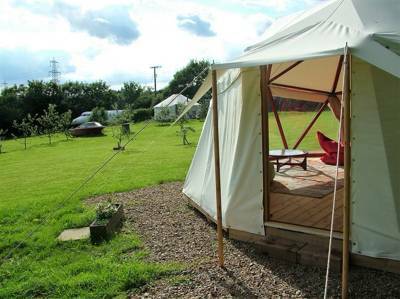 A glamping holiday in Pembrokeshire offers your chance to join them. 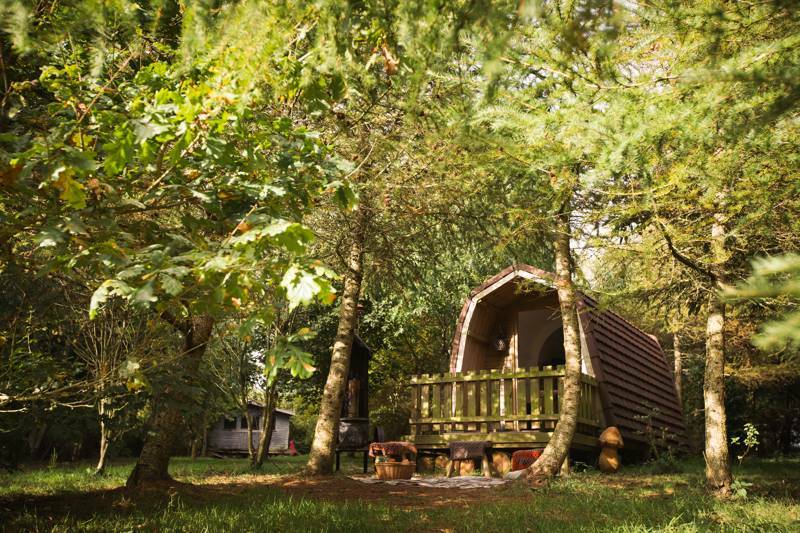 The national park also takes in the Daugleddau Estuary, a wildlife haven where four rivers merge, and also the Preseli Mountains in north Pembrokeshire. This limestone outcrop among moors and grassland tops out at a fairly-modest 536 metres and is perfect walking country offering views all the way to Ireland and Snowdon on a clear day. 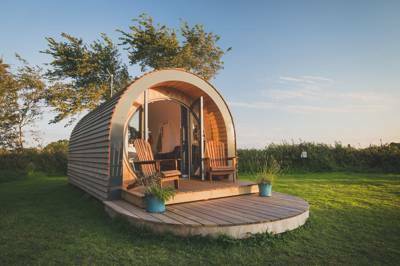 The national park is also a place where people live and work and there are some fascinating market and harbour towns as well as the UK’s smallest city, St David’s, that make for good days out while glamping in Pembrokeshire. 1. 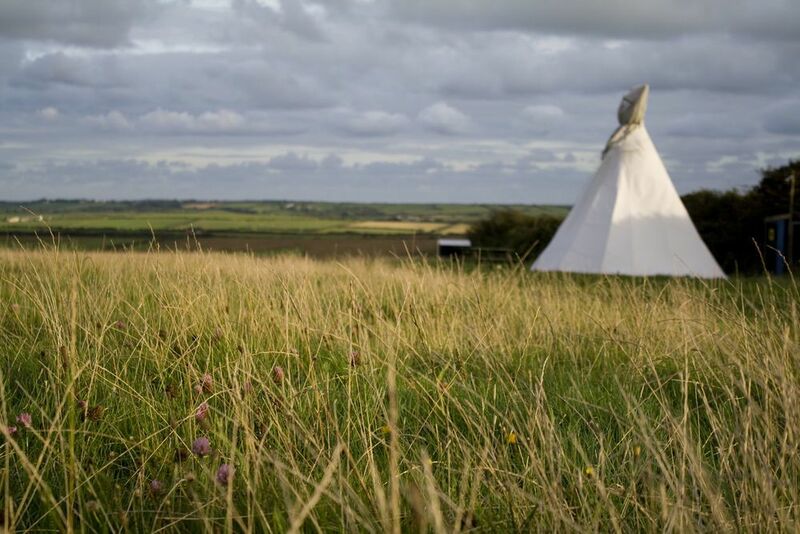 Take a walk on the Pembrokeshire Coast Path. 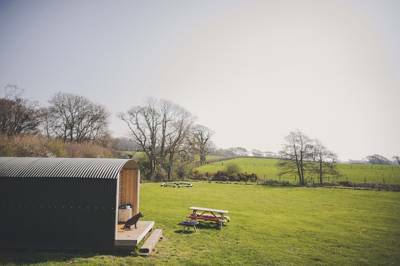 Wherever you stay on your glamping holiday in Pembrokeshire, you’ll never be far from the Pembrokeshire Coast Path as it runs 186 miles along the entire coastline from St Dogmaels in the north to Amroth in the south. 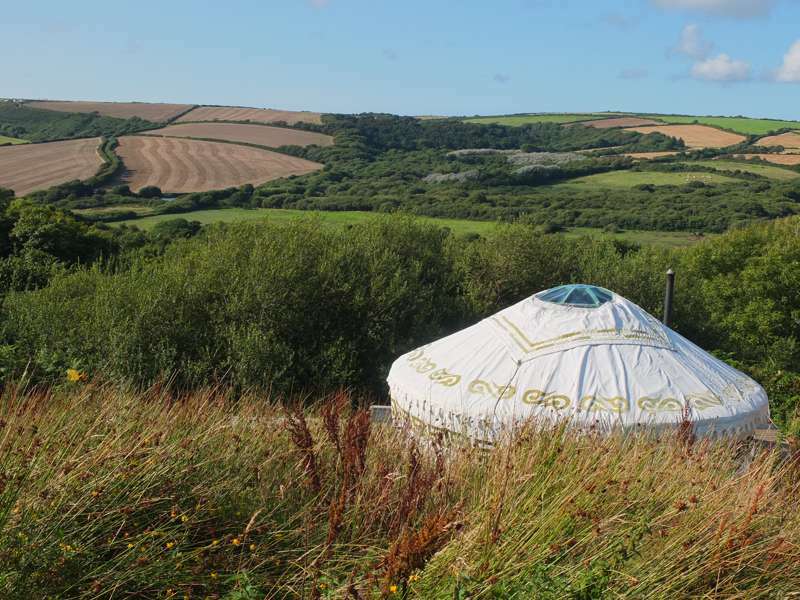 Join it to see some spectacular coastal scenery. 2. Have a go at coasteering. Pembrokeshire’s cliffs are the perfect place for adrenalin junkies to have a go at coasteering, a combination of climbing, swimming and cliff jumping. 3. 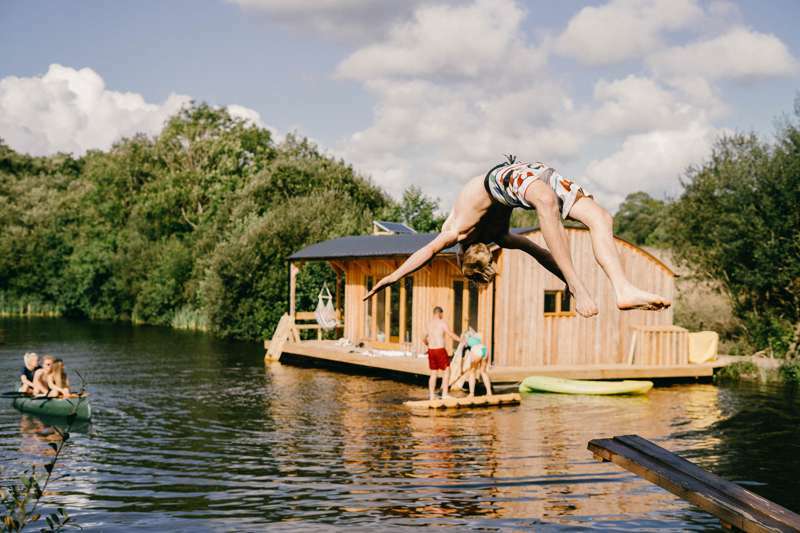 Jump on a paddleboard, surfboard or kayak and take to the water. If you haven’t got a head for heights then there’s a whole range of other watersports you can try in Pembrokeshire and plenty of companies to teach the ropes. 4. Enjoy the view from the Preseli Mountains. Take a hike across heather moorland on one of the many well-marked walking trails and make your way to the highest point for panoramic views. 5. 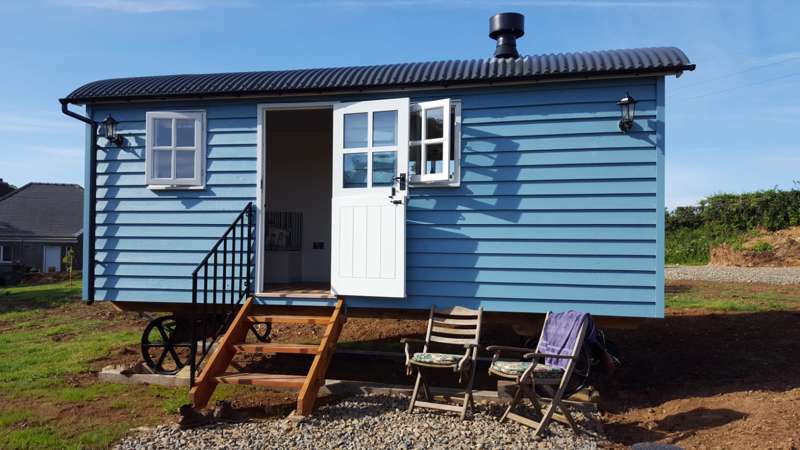 Spend the day at sea-side Tenby. This quaint seaside town has three beautiful sandy beaches for a spot of sunbathing as well as a historic harbour and heart. 6. 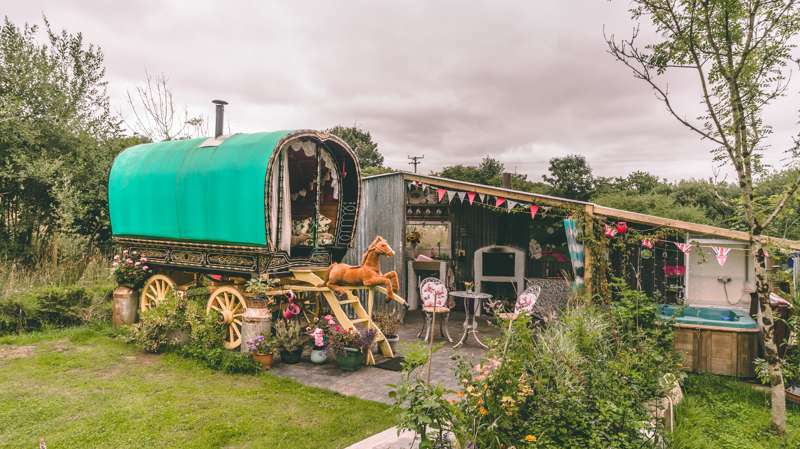 Visit St David’s – the UK’s smallest city. It won’t take long to explore this teeny tiny little city which is named after the patron saint of Wales: population 1,600! 7. Kayak up the Daugleddau Estuary. This estuary in the middle of the Pembrokeshire Coast National Park is at the confluence of four rivers. It’s known as a great spot for birdwatching and the best way to see the wildlife undisturbed is to take a peaceful paddle. 8. Take another boat trip to spot wildlife out at sea. There are lots of companies offering trips to see the seals, dolphins and porpoises who are at home in these waters. 9. Go down to Folly Farm. 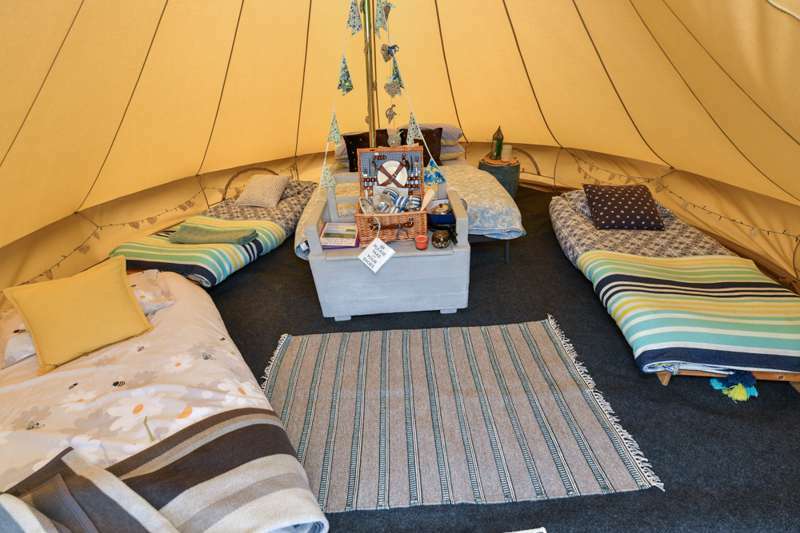 A farm-based attraction with more than just the usual animals to keep younger kids occupied. 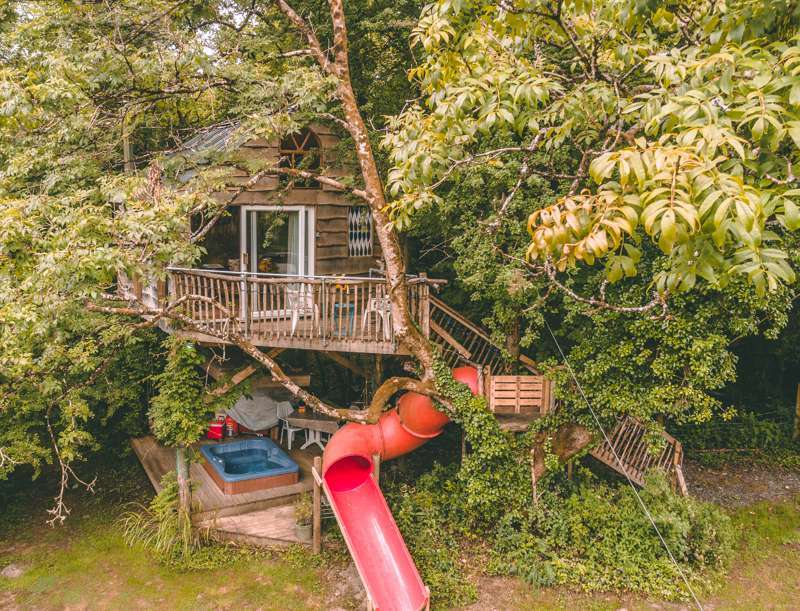 There’s a zoo, vintage fairground and adventure play area too! 10. 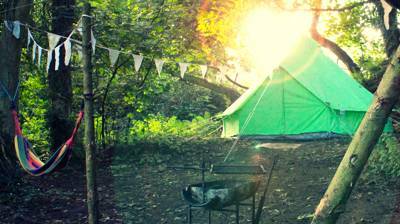 Visit a wild Welsh island. 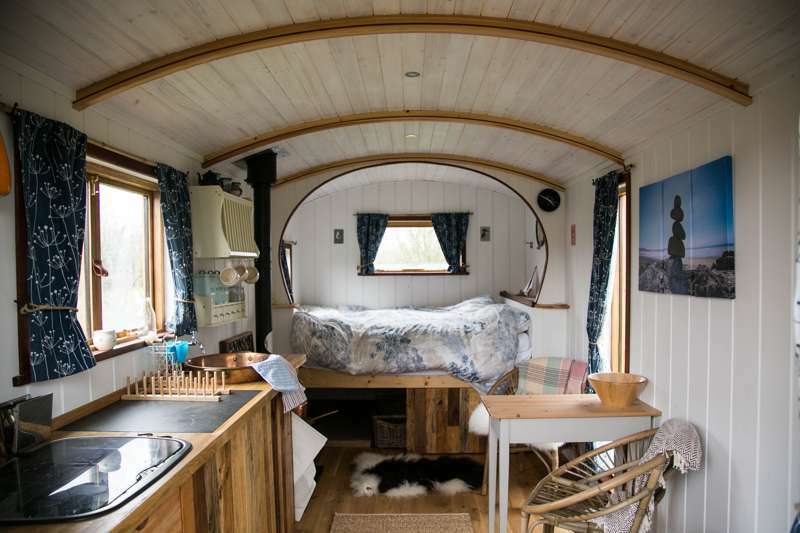 Head for Skomer Island to see the resident population of puffins or take a trip to Ramsey Island, an RSPB reserve, and home to shearwaters, guillemots and choughs – among others.